My name is Taneli Ahtikallio. I come from Finland and I’m a student from Jyväskylä College. My school is located near Jyväskylä in a town called Petäjävesi. What have you been doing in Bridgwater? I was at Bridgwater College doing joinery. 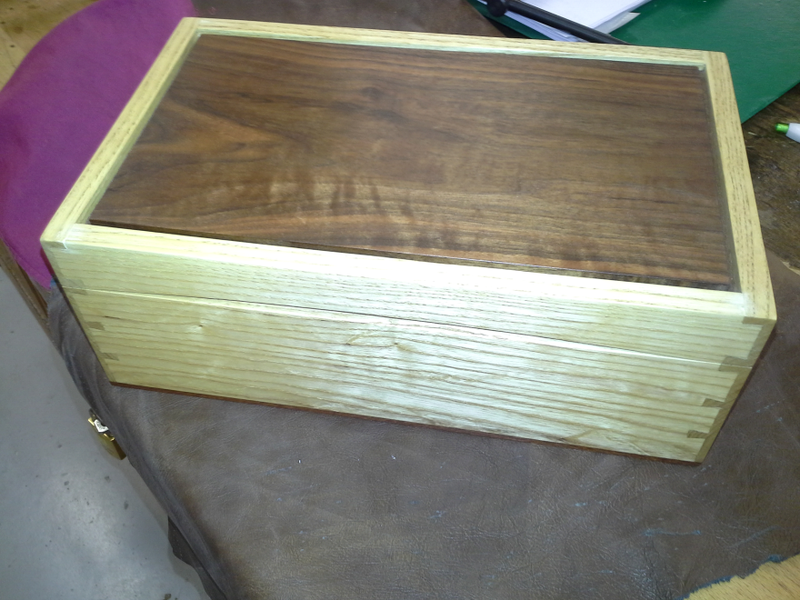 I have practised doing dovetails and other types of joints. 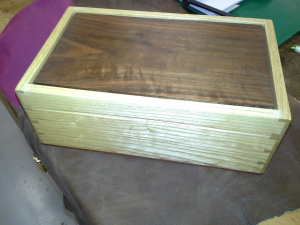 I also made a wooden jewelry (trinket) box. How long have you stayed in Bridgwater? I spent 6 weeks at the college. The time went really fast. Only complaint that I might have is that the town is really small and there was not alot of things to do on my freetime. Timewise the lenght of the exchange was fine. I have learned to make different joints and I’m now a lot more skilled in using handtools on my work. Excercise. There are a lot of nice places to excercise in Bridgwater, you can go to the gym or go running in the countryside. Pubs. A lot of pubs with great atmosphere and cheap ale in Bidgwater. Explore. The transportation is really good in Bridgwater, so you could go to the surrounding towns or cities. Bristol is a good place to visit. Taneli’s exchange was part of the pilot phase of a two-year KA2 project called EMEU http://em-eu.eu/.